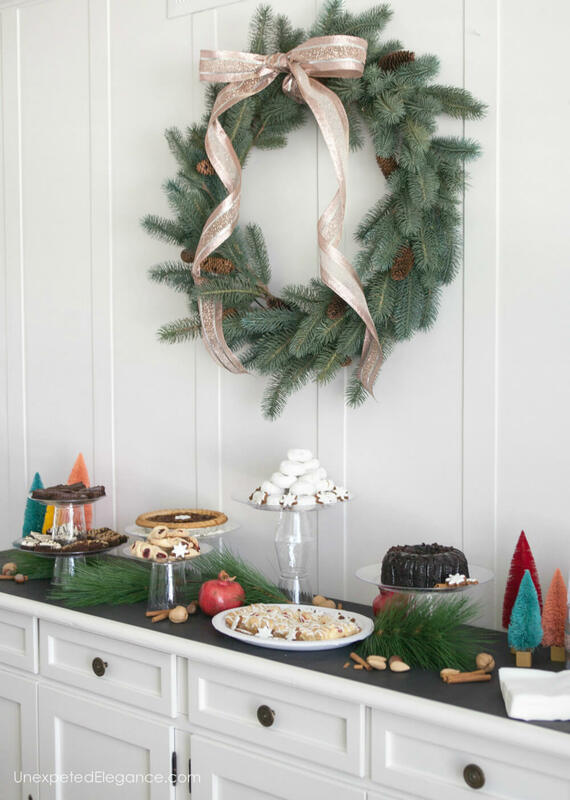 Set up an easy holiday dessert bar this year that your friends and family will love. I’ll show you how to keep it simple so you can enjoy the season! One of the things I love most about the holidays is spending time with friends and family. I’m not sure why, but this time of year is perfect for gatherings…we tend to “make” time during the holidays. Everyone seems to turn into a baker starting in November and we always have piles of cookies and sweets in our house. Does that happen to you? I have found that one of the best ways to get rid of all the dessert is set up a bar in my dining room that is always ready for guests. 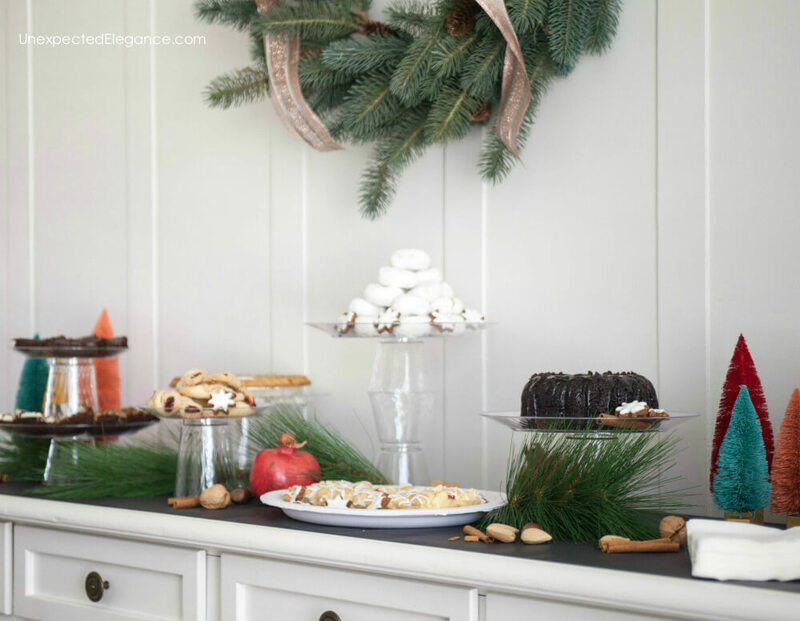 Having a dessert bar is a great way to share and keep me from eating it all! However, this doesn’t have to be complicated. I’ve teamed up with the Chinet brand again, over on its blog, to share a few tips for an EASY dessert bar. These simple ideas make having people over a little easier. Like I always say, “There’s no reason you can’t host and enjoy it too!”. Since most of us don’t have more than 1 or 2 cake stands, I have a trick is to make them out of disposable cups and plates. These take less than a minute to create and you can customize them to your needs! 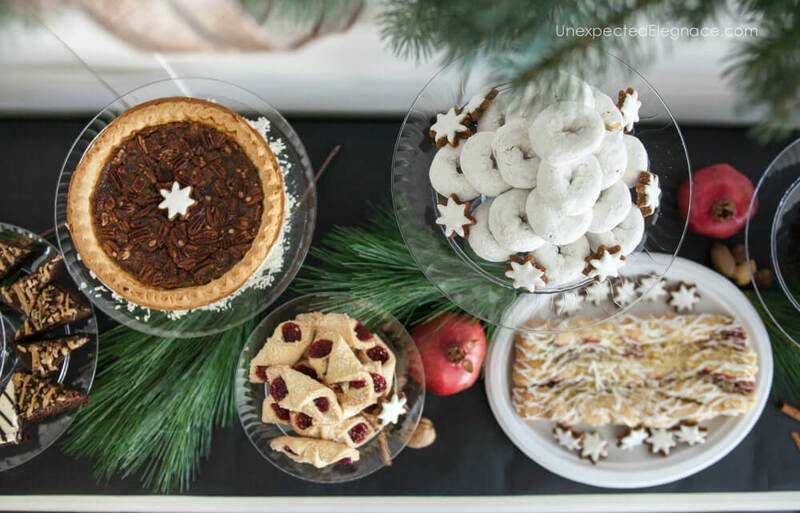 Head over to their blog where I’ll show you how to use items from Chinet® Cut Crystal® collection to create simple DIY cake stands in just a few minutes. If you are looking for other creative and simple ideas for hosting, check out my cocktail party hacks here! You don’t have to spend a lot of extra time setting up a dessert bar, but your friends and family will never know. Just a few extra touches make all the difference.